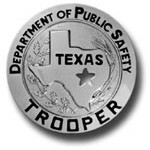 VAN ZANDT COUNTY – State troopers were called to the scene of a two vehicle fatal accident on State Highway 64 and County Road 2132 in Van Zandt County. One person has been killed. Highway 64 was shut down as emergency responders worked to secure the scene. The road has since been reopened. More information will be released as it becomes available.